The Leisure Slice is the second commissioned public art piece of Hong Kong Arts Centre. It is created by renowned designer Gary Chang, founder and chairman of EDGE Design Institute Ltd. 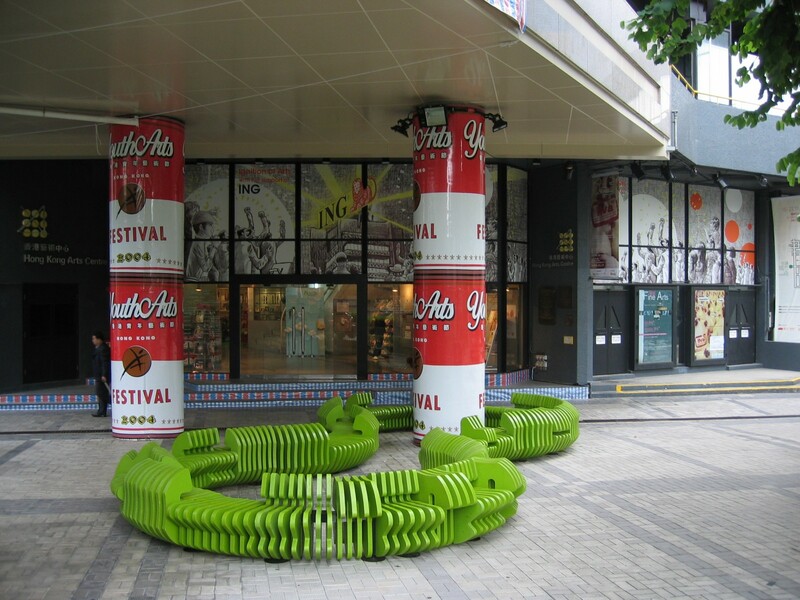 It is set to attract volumes of visitors from all walks of life and bring about a new trend as to how public furniture and public art are perceived and appreciated in Hong Kong. 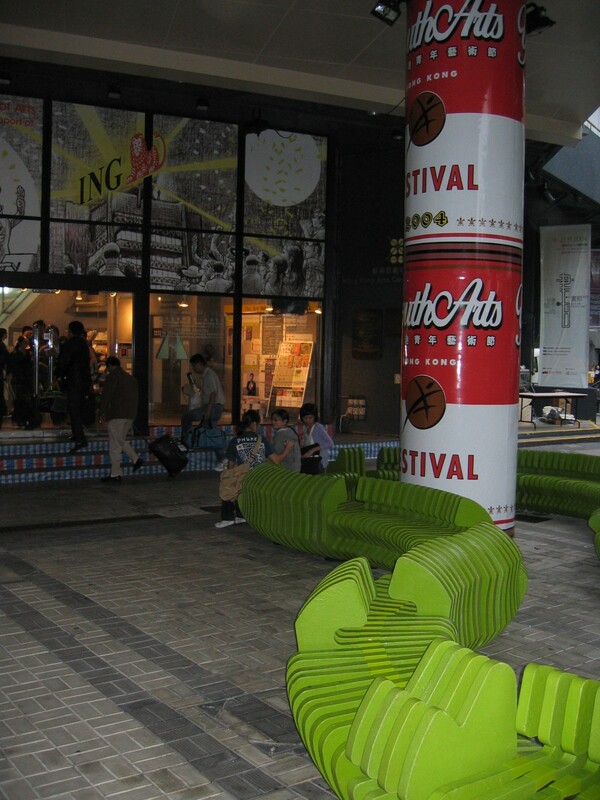 The essence of Leisure Slice lies in its attempt to explore the fusion between an art piece and a street furniture. As Gary explained it, he hoped that Leisure Slice could be an art piece that could be more interactive rather than being only pure visual encounters, while at the same time being a street furniture that could expand the potentials out of the necessities and enable better use of resources. Composed of timber and fiberglass slices connected by steel anchors which allow flexibility in orientations, the modular structure of Leisure Slice strives to accommodate future growth and new additions and programmes. The timber slices could be rotated to alter the functions from various mode of seating to table-tops and further to pamphlet holders, an endeavour to physically extend the activities of the Arts Centre into its vicinities. The lengths of the slices could also be adjustable to even enable the creation of a relaxation bench that people could lie down, perhaps at least for a certain moment.